Sarah's never met Santa. I'm not anti-Santa. But I'm not overly Santa. At this point she's too young to get it so I still have some time to decide on how much of a roll Santa will play. But we didn't take her to meet Santa last year because we took her to Disney World and given the choice, I'd much rather meet the mouse! Really, I just don't want to go wait in the line at the mall. 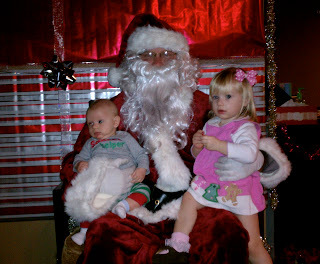 I know you can meet Santa at Bass Pro, but when we tried that there was a 2 hour wait! We thought she's meet Santa at Zoo Lights but that didn't happen. 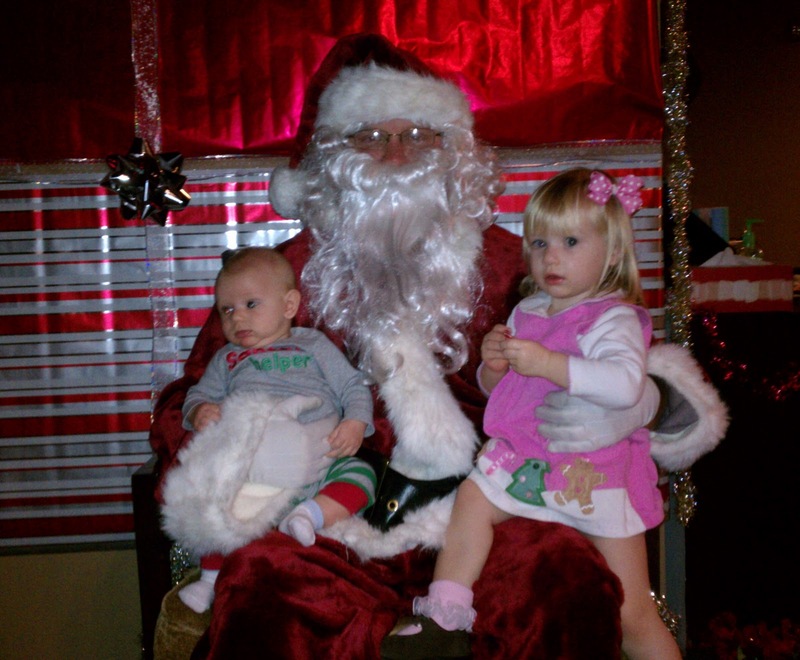 So I was really thankful that the chiropractor I go to is so family friendly because he had a Meet and Greet with Santa. 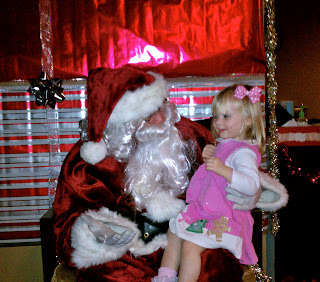 It was nice that she didn't scream and cry and I'm glad she finally got the chance to meet Santa.